Mr Barham obtained his medical degree at Charing Cross and Westminster Medical School. He undertook basic surgical training at the Royal Bournemouth Hospital and Southampton University Hospital where he developed his interest in spinal surgery. He undertook sub-specialist training on Spinal Fellowship at the Royal Adelaide Hospital in Australia. There he worked on all aspects of spinal surgery with Orthopaedic surgeons and Neurosurgeons, managing a wide range of pathologies including spinal fractures, spinal cord injuries, spinal cord compression from infection and cancer. He also furthered his knowledge of the surgical and nonsurgical treatment of degenerative and arthritic conditions affecting the neck and low back (back pain, sciatica and myelopathy). 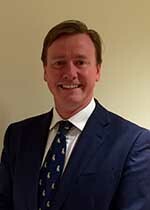 On his return from fellowship, Mr Barham worked with the Pan-Dorset Spinal Service but moved back into the NHS with appointment as Substantive Consultant Orthopaedic Spinal Surgeon at Salisbury District Hospital. He covers all aspects of spinal surgery including trauma and emergencies as well as planned care cases. Degenerative conditions of the lumbar and cervical spines are a particular interest. Mr Barham works closely with Rheumatologists, pain physicians, radiologists and other medical professionals to ensure the best results from both the non-operative and operative management of spinal conditions. Mr Barham is currently running two projects. The first is an investigation into the evolutionary development of the spinal cord and adaptations for bipedal gait. The second is looking at pain generators in spinal stenosis. Mr Guy Barham does not hold a share or financial interest in this hospital, another Nuffield Health hospital or the company. Mr Guy Barham does not have a share or financial interest in equipment used at this hospital or another Nuffield Health hospital. Mr Guy Barham does not hold any paid advisory role(s) at this hospital or on behalf of Nuffield Health.